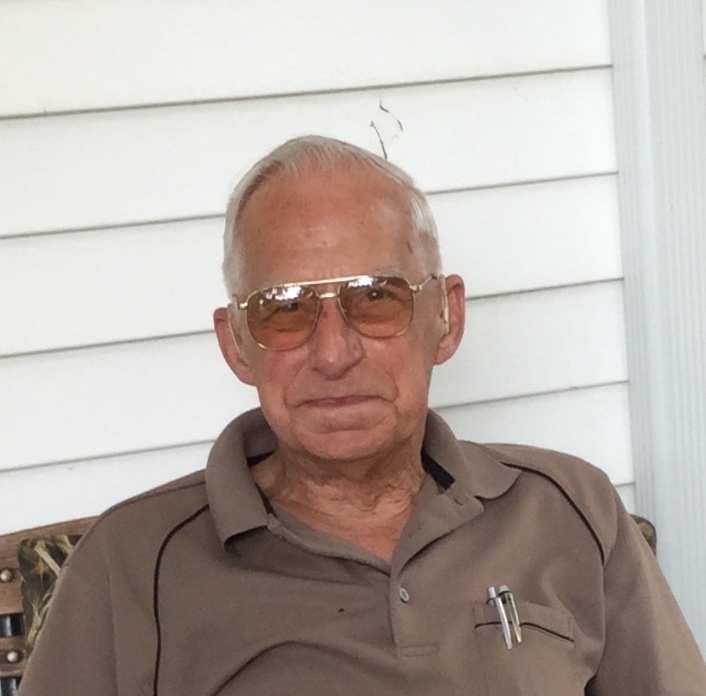 Jim Michl, 85, of Arcola, IL passed away at 8:15 A.M on Tuesday, March 26, 2019 at Carle Foundation Hospital in Urbana, IL. Funeral services will be held at 12:00 P.M. (Noon) on Friday, March 29, 2019 at the Edwards Funeral Home, 221 East Main St., Arcola, IL. Father Angel Sierra will officiate. Burial will follow in the Arcola Cemetery. Visitation will be held from 5:00 P.M. to 7:00 P.M. on Thursday, March 28, 2019 at the funeral home. Jim was born on May 27, 1933 in Willow Hill, IL. He was a son of John A. and Anna Theresa (Kraus) Michl. He married Carolyn S. Comer on July 4, 1957 in Greenup, IL. She passed away on June 21, 2008. Survivors include four children, Terri Miller and her husband Frank of Camargo, IL, Jimmy Michl and his wife Dori of Ireland, IN, Mary Tinker and her husband David of St. Louis, MO, and Walter Michl of Arcola, IL, three grandchildren, Andrea Moritz and her husband Jacob of Mattoon, IL, Cody Miller and his wife Beth of Camargo, IL and David Michl of Arthur, IL, two great-grandchildren, Asher James Moritz and Emery Ann Miller, and several nieces and nephews. He was preceded in death by his parents, his wife, two brothers, John Ralph Michl and an infant brother, and one grandchild, James Eugene Miller. Jim was a member of St. John the Baptist Catholic Church in Arcola, IL, and the National Rifle Association. Jim started his 64-year career in the Automotive Industry when he went to work at Century Motors in Tuscola in 1955. After Century Motors closed, he went to work at the Four Seasons Auto Plaza in Tuscola. Jim was currently working for Napa Auto Parts in Arcola, IL. Jim enjoyed feeding squirrels and birds, gardening and collecting coins. He was an avid reader and enjoyed sudoku and crossword puzzles. His greatest joy was his grandchildren and great-grandchildren.